Looks like the summer heat is not stopping NTR and his team of Jai Lava Kusa to relax one bit as the film is being shot on a brisk pace. Currently, some key scenes of the film are being shot in and around Hyderabad city. 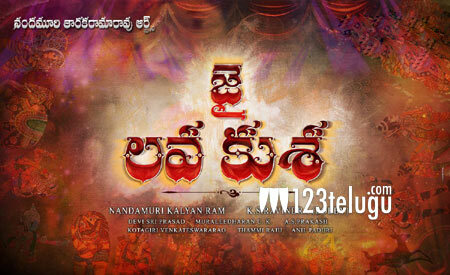 NTR is giving his best and is working hard on three of his roles in the film. Directed by Bobby, this film is produced by Kalyan Ram on his home banner NTR Arts. A lot of money is being pumped into the making of the film as some Hollywood technicians are also working on it. The makers are planning to release the film on the 1st of September and Devi Sri Prasad composes the music for this film.